Living with diabetes doesn't have to mean living with bland, tasteless meals! 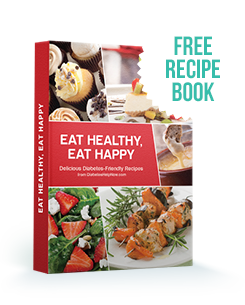 This collection of diabetes-friendly recipes lets you enjoy a wide variety of flavorful meals without raising your blood sugar. Great ideas for breakfast, lunch, dinner and everything in between. From appetizers and salads, to side dishes, main courses, soups, stews and even desserts!